Businesses across the globe are growing gradually demanding strategies to use the power of the internet to market their products or services. 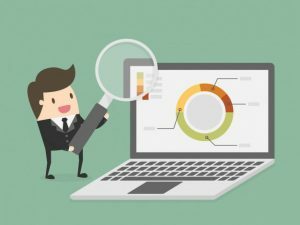 Among the most beneficial and useful ways of utilizing the internet to drive traffic, sales, and leads are via web application development services. A web application development company mostly offers these services. Indeed, considering the opening of online business without factoring the usefulness of web application development companies is one of the easiest and fastest ways to miss out on significant opportunities. 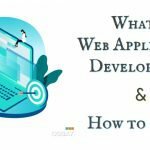 So, What Is Web Application Development? Node is projected to operate on a dedicated HTTP server and to use a single thread with a single process at a time. The applications based on node.js run asynchronously and are event-based. The code built on the node.js platform does not adhere to the standard model of receive, process, send, wait, and receive. As an alternative, the node processes the incoming requests in a continuous event stack and sends small requests without waiting for responses and in small requests. The good thing about node is that it does not block the input/output (I/O). Ruby on Rails, sometimes referred to as ‘Rails’ or just ‘RoR’ is a free and open source framework for web development in Ruby, an (OOP) object-oriented programming language that is similar to Python and Perl. 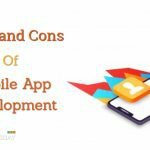 The primary difference between Ruby on Rails and other frameworks for development is the ease and speed of use that developers working within the environment are given. 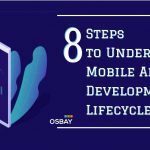 Any changes made to the apps are applied instantly, avoiding the tiring and long steps typically linked to the web development cycle. RoR can run on various web servers that support CGI. The framework can support PostgreSQL, MySQL, SQL Server, SQLite, Oracle, and DB2. Besides, RoR is also an MVC (Model, View, Controller) framework where all layers are given by RoR as opposes to depending on other frameworks to attain full MVC capability. This is one of the leading web application development services across the world. Since its inception in 2004, the company has been giving web development services globally. The company boasts more than 1500 happy and satisfied clients with a 96% score for the client retention rate. Besides, ValueCoders is a CMMI Level 3 and ISO certified company. The company has over 450 dedicated web developers who possess the latest technologies to give customers advanced web apps and develop web-based development solutions to add value to other organizations. As a customer, you are guaranteed 100% money back if you aren’t contented with the product within the first two trial weeks. R Systems is a dependable web development organization in India has been in the industry for more than two decades. The significant number of staffs at R Systems has enabled them to submit more than 1200 projects to over 350 clients and businesses. They are experienced in various internet technologies such as PHP, Net, and others. 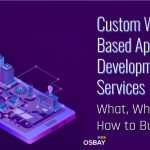 Osbay has the staffs and tools you need regardless of the stage you are in your marketing journey. Osbay gives the best websites to customers using WordPress or preferred client platform. Be guaranteed to get all sorts of web application development at Osbay. Also, the organization includes a non-project based development and RED service, where they send you an engineer at your disposal. Konstant Infosolutions is a leading software development organization, giving a wide range of mobile and web applications across the world since 2003. The company has a big team of experienced and highly qualified IT professionals who offer the best technology solutions and consulting services across various business models. Fingent has been in the IT industry since 2003. The company is reliable when it comes to offering affordable mobile and web development apps to multinational and mid-sized companies. Fingent has two offices in the US (New York and Boston), the United Arab Emirates and India. Their global team of more than 250 staffs has assisted hundreds of companies in implementing software products that increase profits and productivity.